High-contrast targets make aiming (and seeing your bullet impacts) easier. EZ2C Targets, a family business in Pennsylvania, has developed a series of very bright, high-contrast targets printed with eye-popping fluorescent red/orange and Deep Black Inks. These are available from the EZ2C online store. A set of forty (40) 11″x17″ targets printed on quality bright white paper costs $7.50. 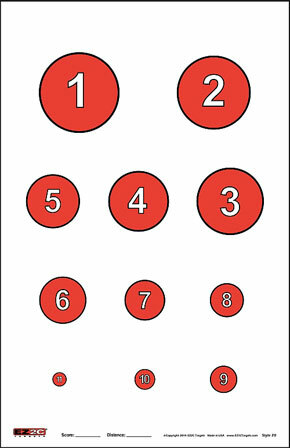 A wide variety of designs are available: Bulleyes, Grids, Silhouettes, and Diamonds as well as many specialty targets. Here are four other Fun Targets. 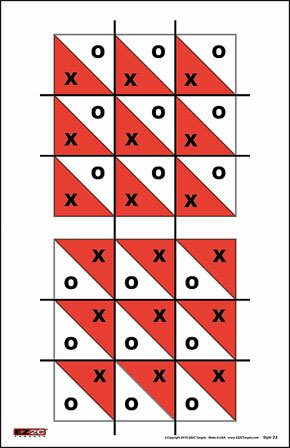 EZ2C’s lastest design is new Tic-Tac-Toe Target. This would be a great precision rifle target at 100 yards, if you tried to hit the actual printed Xs and Os (not just the boxes). You could shoot this with a buddy — one guy shoots Red-zone Xs while the other shoots White-zone Os. 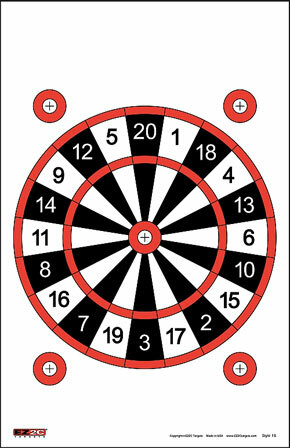 The Dartboard target is also great for a two-man shooting competition. 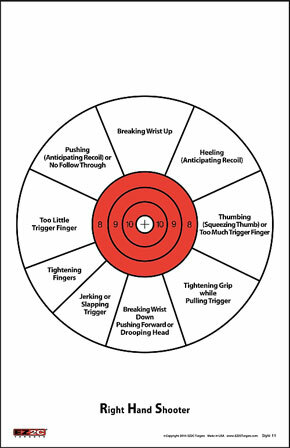 The pistol diagnosis target (lower right) shows how to correct your aim and hold, based on where your errant shots fall. 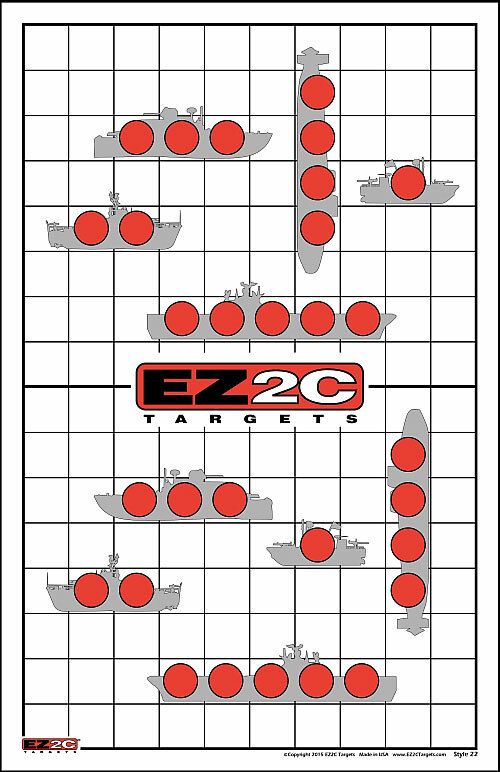 EZ2C targets can be customized with the name/logo of your gun club or business. This is an excellent way to promote your organization or store. Here’s a suggestion — have your gun club print up customized targets to award as prizes at shooting matches. This video explains the custom printing options. Share the post "EZ2C Shooting Targets — High-Viz, High Quality"